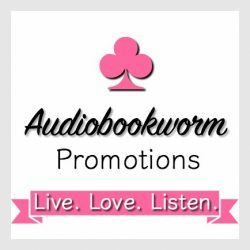 Author Petie McCarty — an author worth discovering! She graciously joins our blog talking about her writing. I’m so pleased to have you join us. Writing and reading are my favorite pastimes and I love to have the chance to meet and discuss authors’ work. Let’s get started Petie! I’d love to, but first let me thank you for allowing me to spend time with your Booktalk with Eileen readers today. 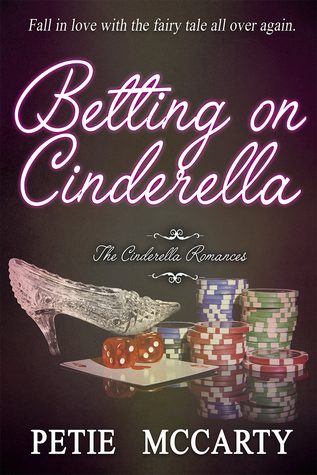 Betting on Cinderella was released on October 18th and is book two in my series: The Cinderella Romances…fall in love with the fairy tale all over again. 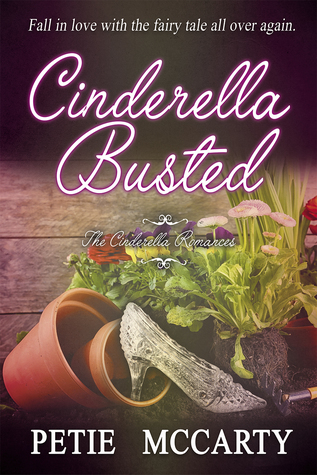 Although Betting on Cinderella is my seventh release, it is my very first sequel, with Garrett Tucker returning from Cinderella Busted for his own story. I had never considered writing a sequel until my editor and I were exchanging edits for Cinderella Busted, and she asked me if I was working on Garrett’s story. The coincidence here is that I happened to be on one of our many vacations to Biloxi when I received her email. The wheels immediately started to turn. I looked out of our high-rise window at the Beau Rivage and thought, I need a Prince for this story, so why not have Garrett inherit his grandfather’s casino empire and become the “Prince of Vegas?” That way I could bring him right there to Biloxi, a place I knew well. With a colorful supporting cast, Betting on Cinderella provides scene-to-scene suspense that will have you rooting for the delightfully “flawed” hero and heroine both. What’s coming next, or what are you working on now? I am close to completing Par for Cinderella, book three in the Cinderella series. Aidan Cross had a big part in the first two books of the series, and now he returns for his own story—he visits quaint Cypress Key where he intends to build one of his world-famous golf resorts that no one in the small town wants. If you could be any character in any fairy tale, who would you be and why? I would love to be the fairy godmother in Cinderella. Heck, I do feel a bit like her already since I managed to write Lily Foster right into Rhett Buchanan’s arms in Cinderella Busted, even without the prop of the glass slippers. Is Cinderella one of your favorite fairy tales? Of course! Though Beauty and the Beast is my all-time favorite. Of all the Disney princesses, Cinderella is everyone’s hands-down favorite—regardless of age—and always has been. Yes, even middle-aged women visit the Bibbity Bobbity Boutique at Walt Disney World. *grin* So, it came as no surprise to me when the Cinderella Busted movie popped into my head. Absolutely. *chuckle* Everything that happened to Kayli Heddon in Everglades—the bug storm, the gators, the snakes, the palmetto bugs, doing doughnuts in an airboat—all happened to me while working in the field at some time in my career. 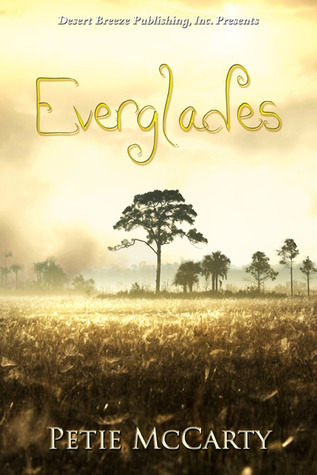 Skye Landers, the hunky airboat guide/hero from Everglades is my favorite. In my head, Skye looked like the Medjai warrior leader in the movie, The Mummy. An aquatic biologist by profession, I spent two years of my career surveying Florida waterways by airboat, and I never got to travel with a hunky airboat guide, so I created my very own hunk for the story. * grin* I wrote a yummy one, too. Nora Roberts’ character, Carter Maguire, in the first book of her Bride Quartet, Vision in White, is a perfect example. The “professor” wasn’t a hunk; he was adorable with his quirky, sweet nature. I recently read another great example in Megan Bryce’s To Wed the Widow. Her hero George Sinclair was sweet, funny, and carried a Pomeranian puppy in his pocket. Altogether a memorable hero. I totally prefer love at first sight. A look, a touch, a scent, a sound, a taste – “love” senses that individually or in tandem incite inexplicable electrified impulses between a man and a woman, drawing them together with or against their will. I left my fabulous “day” job at Walt Disney World to write full-time, so I’m lucky that I have the opportunity to write anytime. I try to set aside whole work days devoted to my Work in Progress. While that sounds wonderful in theory, dazzling passages are guaranteed to pop in your head at the least opportune moments — in restaurants, in line at Walmart, in bed in the blessed moments before you succumb to much-needed sleep. Never, ever assume those passages will still be hovering in the atmosphere when you return to your computer. They won’t. They will swiftly dissipate like the smoke from the Pillsbury rolls you burned when you stopped to send a tweet about your latest interview. A random fact about yourself? I am one of seven preacher’s kids, which probably explains why thus far in my writing career, I have only written PG-13 romance, safe enough for teens. I want to thank Booktalk with Eileen and their loyal readers for allowing me to spend time with them today and share stories about my books. Happy reading or writing to all — your pick! This entry was posted in Interviewing authors and tagged Interview with author, Petie McCarty. Bookmark the permalink.